One of the University's newest centres, the Risk Institute is a focus for world-leading risk research and consultancy. It's working with major bodies including the Ministry of Defence, the Project Management Institute and the Infrastructure and Projects Authority. A key aspect of the institute’s role is to address operational risk in the offshore wind industry as the Humber region becomes a hub for the sector. Our researchers also consult for the international Organisation for Economic Co-operation and Development. Risk and uncertainty are part of the commercial landscape for almost every organisation, especially in today’s complex and rapidly changing environment. Maximising the rigour and methodology of our interdisciplinary research, the institute holistically analyses the risks that today’s organisations might face. The team work with a diverse range of partners and collaborators on a ‘big picture’ approach. For example examining individual risks; analysing how these risks interact; and exploring the ‘human factor’ - how people, both inside and outside an organisation, are likely to react to the identified risks. This approach provides an evidence-based assessment of risk, giving a valuable insight of organisational risk culture and decision-making. Our team use this analysis to provide expert advice on the practicalities of risk management and reporting. The Risk Institute is already working on a number of collaborative projects. Two are funded by the Project Management Institute, and will have an impact on major government projects. The institute is also one of six university partners advising the Infrastructure & Projects Authority (part of the Cabinet Office and the Treasury). Terry first worked in operational research (OR) at engineering consultants YARD, developing project risk management and acting as risk manager for major defence projects. After becoming Professor of Operational Research and at the University of Strathclyde, he continued research and consultancy, modelling the behaviour of major projects. He was with a team that supported more than $1.5 billion of post-project delay and disruption claims. 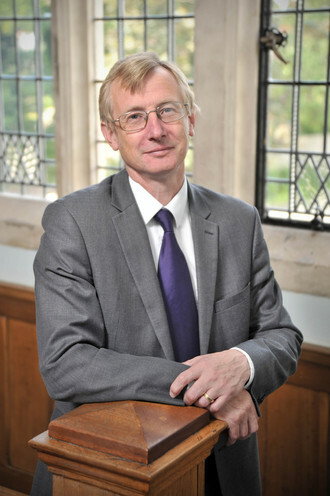 Terry joined the University of Southampton in 2005 (becoming Director of the Management School), then became Dean of Hull University Business School in 2011. He recently stepped down to set up the Risk Institute, concentrating on consulting and research. Terry speaks and writes on projects and risk, including 80 journal articles, and many books on aspects of projects and OR. With degrees in Maths and OR from the Universities of Oxford and Birmingham, he is a qualified Project Managment Professional, has edited a leading academic journal and is on the Project Management Institute's Academic Members Advisory Group. He was on the UK’s Research Excellence Framework panel and is a Fellow of various institutes.